We remember that heartbreakingly beautiful September day ten years, when it felt like the world might be coming to an end. We remember the horror, and the terrible sense that this could not possibly be happening. 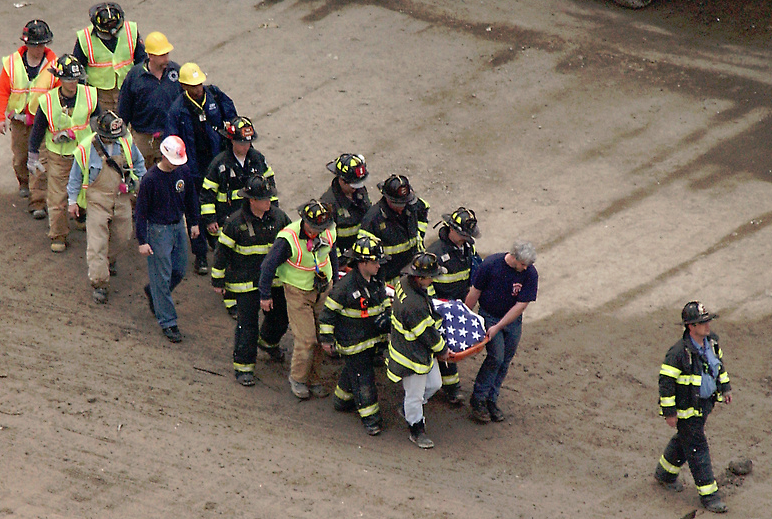 We remember the firefighters and first responders, who raced into the burning buildings, climbing countless flights of stairs to reach those in need. We remember all those brave souls who lost their lives that day. We remember Edgar Emery in the South Tower of the WTC, who help people evacuate the building after the first plane struck the North Tower. He want back to help his collegues, and was trapped when the second plane struck the North Tower. We remember Welles Crowther, a young equities trader and volunteer fireman who helped dozens of people evacuate the South Tower, and whose body was later found in the rubble. We remember Christine Egan, a 55 year old nurse from Winnipeg visiting her brother, Michael Egan, who worked on the 105th floor of the South Tower. We remember Ralph Gerhardt, who worked on the 105th floor of the North Tower and whose girlfriend, Linda Luzzicone, worked on the same floor. It is believed that after the plane struck, Ralph went looking for Linda. Both died in the attack. 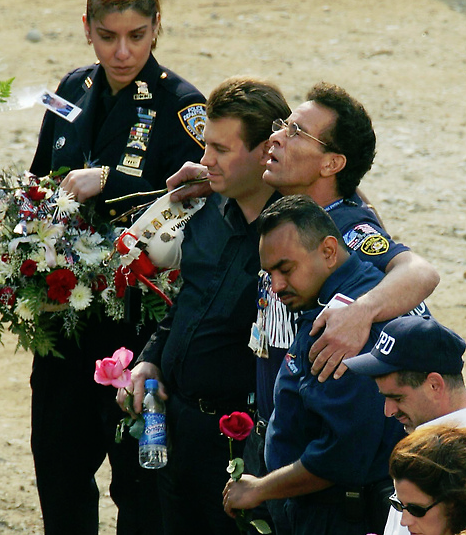 And we remember the police officers who braved the chaos and smoke to help those in need. 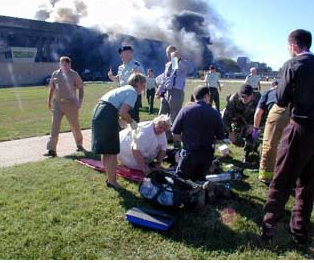 We remember the workers at the Pentagon – civilian and military – who lost their lives that dreadful morning. We remember the 40 braves souls of United Airlines Flight 93. Their actions resulted in a fiery death in a field in Pennsylvania, but their courage saved untold lives. We remember the brave men and women of the armed forces. 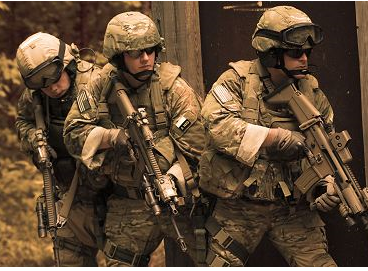 They have fought the enemy for ten long years, sacrificing so much for our safety and freedom. We owe them and their families our deepest gratitude. Some days it’s easier to remember that the world is full of hate, but in the memories that came from 9/11 there are hundreds of examples of love, courage, and sacrifice. We may never be able forget the hate, but let us surely remember and honor the love and courage of those who lived and died on that September day. If you are looking to do something special on this anniversary of 9/11, I’d like to make a few suggestions. 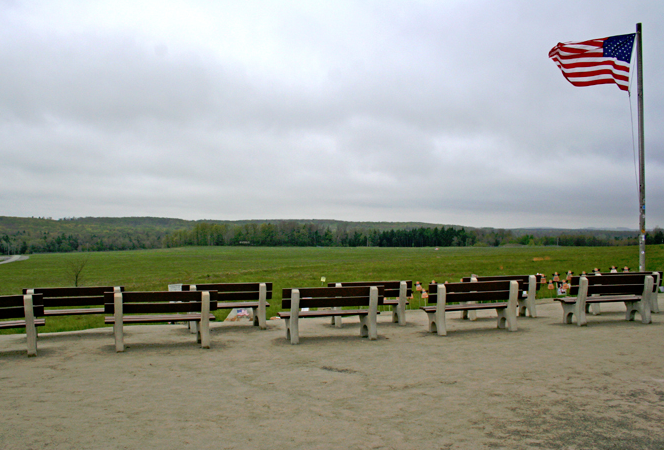 The U.S. National Park Service is spearheading a campaign to raise funds to complete a permanent memorial to Flight 93, in Shanksville, PA. If you are able, you might want to consider making a dontation to that campaign. Or you might consider making a donation to help some of our wounded warriors and their families. The Wounded EOD Warrior Foundation helps care for those brave men and women who disarm bombs and IEDs. There are over 7,000 men and women who serve in these units, and many have been wounded in the line of duty. You might want to check out their website or make a donation. Guest Author: Kieran Kramer & Giveaway! Vanessa, thank you for this post. I like the idea of making 9/11 a day to remember not the horror, but the noble and selfless sacrifice of so many unbelievably courageous people. These are the characteristics that were the foundation of our country – and that, sadly, we seem to have forgotten in our daily lives. Thanks, Nevin. I do believe we need to remember the incredible courage and sacrifice that so many people displayed that day. Their examples can inspire all of us. Thank you for this, Vanessa! It was so lovely bittersweet and I only wish we could recapture that spirit of connected community we had that day. I also doubt any of us will forget where we were or what we were doing when we heard about the planes. It was definitely our generation’s Pearl Harbor. And a special thanks for the link to the EOD Wounded Warrior Foundation. We already give to the Wounded Warriors, but didn’t realize EOD had a separate one. Which was timely because I’m about to begin a new book with an EOD hero and have already ordered the two EOD coffee mugs I’ll use every day while writing. Thanks for stopping by, JoAnn. 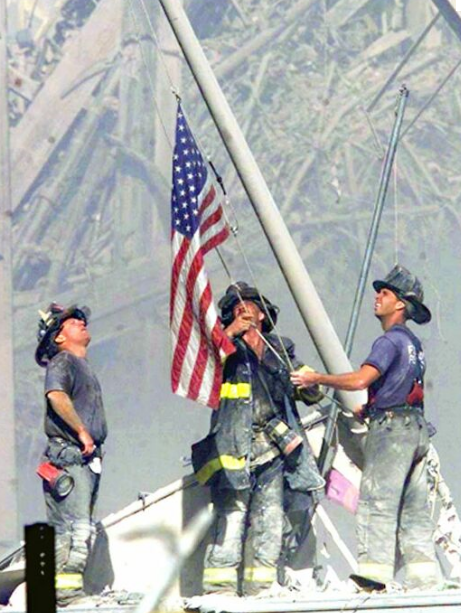 I also wish we could recapture that spirit of unity – so many people did so much to help each other on that terrible day. I also didn’t know about the EOD Wounded Warriors until I began doing a little research. I knew about the Wounded Warriors Project, but this group looks pretty wonderful, too. It’s great that people like you do so much to support our wounded heroes! I became honored to obtain a call coming from a friend immediately he observed the important suggestions shared on your site. Reading through your blog posting is a real great experience. Many thanks for taking into account readers at all like me, and I hope for you the best of achievements for a professional in this field. Rattling nice layout and superb articles, hardly anything else we require :D.